Below are several items that all relate to brushing up on basic maths. Many FRS’s are now asking for either a maths qualification or using some sort of maths test as part of the selection process. Therefore we have provided you with a list of maths products at the level required. 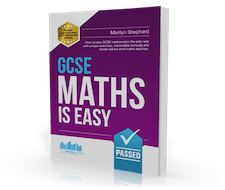 GCSE Maths is Easy is a mathematical testing book like no other! It provides all the vital information you will need to know regarding basic mathematics in a fun and interesting way! The sole purpose of this book is simple – to make maths easy! In order to successfully pass any basic mathematical test, it is important to get to grips with the basic arithmetic and formulas required. Great Value – a book that is worth every penny! This book provides two sets of practice papers for you to work through. Similar to that of the real GCSEs! – This guide has been carefully laid out to provide you with papers that will look similar to that of their real exam! 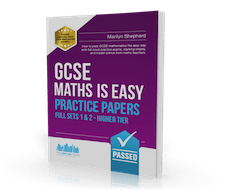 Instructions to Use the Papers – this book talks you through using the practice papers and how to work through the guide to ensure you make the most out of your practice papers. It appears that nowadays, just about every selection process or assessment centre consists of a numerical reasoning test. 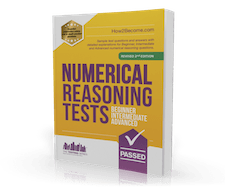 It is important that you score very high during your test which is why we have created a 168 page workbook that is full of numerical reasoning test questions and explanations.